In today’s edition of Did You See This Wednesday, we’re going to be talking about RPGs. Sushians! As part of our new content spree of 2013 (which we’ve honorably dubbed as “Year of the Sushi” around these parts), we’ve started up our very own GamerSushi Twitch TV channel. Last night I streamed the second half of Hotline Miami as a bit of a test, and a few of you joined and hung out for a little bit. And right now, Nick and I are streaming some Borderlands 2. 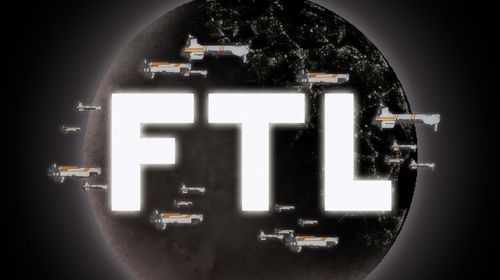 Obviously if you see this a bit later, you’ll have missed out on the fun, but we’re working on some kind of loose schedule when we’ll be streaming some different games. So yeah, join in on the fun. Year of the Sushi! Update: All done playing now, but you can find the play session after the jump! Continue reading GamerSushi on Twitch.Tv! Posted on January 19, 2013 January 19, 2013 Author EddyCategories Brawler, FPS, GamerSushi News, PC, VideoTags borderlands 2, gamersushi, hotline miami, streaming games, twitch tv6 Comments on GamerSushi on Twitch.Tv! It’s been a while, but we’re back. In the month since we’ve been gone a lot has happened, such as Disney buying LucasFilm and a whole bunch of games coming out. We managed to cover a lot of it, leading to what has to be our longest cast in a while. Nick is absent yet again, but you have the regular crew, albeit with a couple of us fighting off coughing fits at several points. Eddy just plain forgets that he can mute himself, so in a couple spots you’ll hear him coughing or chomping on a cough drop. It’s not too bad, but I’ve decided to christen the cast in his honor. You know how it goes by now, being veterans of our show. Listen, rate and be excellent to each other. We’ll see you soon! It’s been a few weeks, faithful listeners, but we’re back. It’s kind of hard to get a balance going once we start the podcast again, but we’ll probably be back up to weekly casts right before we go on another break. C’est la vie, non? In this episode we’ve got some apologizing to do around Resident Evil 6, which is apparently the worst game ever. Seriously, we’re really sorry about how much time we devoted to this game over the past year. We also talk about Cliffy B and the BioWare Doctors leaving the industry which evolves into a talk of whether there are anymore big name people left beyond the standards (Newell, Miamoto and the like). It’s a really cool talk about the state of the industry and how faceless it’s become in some ways. We also talk about Borderlands 2 (nee Bonerhands) for a while and then we chat about our most anticipated games for the rest of the year. So! You know how it goes. Listen, rate, and please accept our apologies. 2009’s Borderlands was an interesting animal back when it released. A mishmash of RPG and FPS with a lot of loot thrown in, it stayed aloft mostly on a wing and a prayer. It was a little bland in its environmental design, the story lacked any real payoff, and it was too easy to break the various classes available to you. That said, it was fresh and unique and had an excellent crop of post-release DLC to keep it in people’s minds. 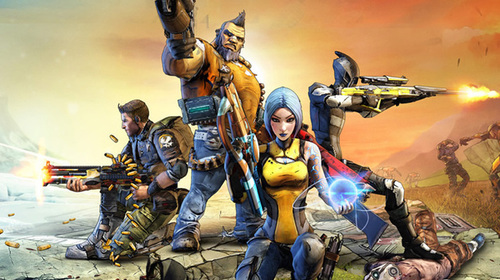 Posted on September 19, 2012 Author MitchCategories Co-Op, FPS, Impressions, multiplayer, PC, Playstation 3, Roll Call, RPG, Shooter, XBox 360Tags borderlands 2, borderlands 2 impressions, borderlands 2 roll call10 Comments on Borderlands 2 Roll Call! Well, it’s here: The Fall of 2012. This is the time of year when things get a little cray cray. After the doldrums of summer finally subsided last month with Sleeping Dogs and Darksiders 2, this is season of the big dogs. It’s a little leaner than last year but there are still some blockbusters forthcoming, most notably, Borderlands 2. I know many of the GamerSushi staff are drooling at the chance to shoot thousands upon thousands of skags again. I am little more reserved on it, but I will probably pick it up at some point, after the dust from my backlog as cleared. I know Torchlight II will be a popular choice for many, possibly as a change of pace from Diablo III. Sports fans will have to choose between hockey or the Beautiful Game as depicted in FIFA 13. I know Mists of Pandaria might draw some more WoW fans back into the fray for one last gasp, but I’ve heard that it has turned others off with its resemblance to Kung-Fu Panda. Hit the comments and let me know which side your bread is buttered. Poll: Most Anticipated September Release? Guys, we are getting actual news™ out of San Deigo Comic Con, and I am so excited. I thought that we were going to be dead in the water until September, but I’m glad to have been proven wrong. If any of you played the original Borderlands, then you may remember the challenges the game presented you with as little notifications that popped up and then quickly went away. It was a small distraction, but most of us probably never paid attention to them beacause they weren’t that well integrated. 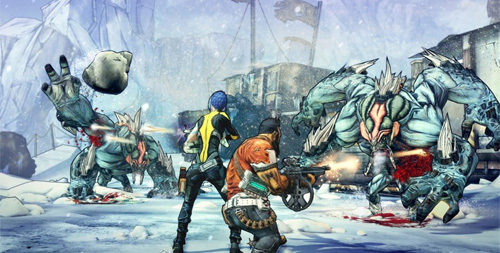 Borderlands 2 looks to change that with Badass Ranks, which will incentivize players to complete challenges by giving them new ways to beef up their stats. If you’re like me and you played the original Borderlands on the PC then you were probably disappointed by how much the game reeked of “console-itis”. The signs of a hasty port were everywhere and the game suffered for it. With a new Borderlands on the horizon, Gearbox decided to kick their PC support into overdrive and threw up a love-letter from everybody’s favorite (sarcasm) robot Claptrap, listing the features that will be in the PC version of Borderlands 2. While this is a very nice gesture on behalf of Gearbox (and I hope they carry all this over to their other release this year, Aliens: Colonial Marines) it just strikes me as how odd it is that features that should be included on the PC SKUs of games like FOV sliders and offline LAN support are now considered to be extras by the developers. If anything demonstrates how far down the chain PC gaming is in terms of priority these days, it’s this. Sure, a lot of the items on the list are things that PC gamers take for granted, but we just don’t get that kind of support these days. Usually these things are added in by mods, so at least Gearbox is taking the time to add that to the game. 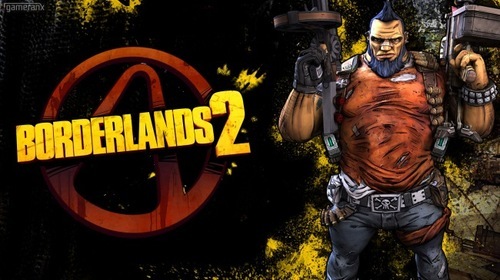 What do you guys think of Borderland 2’s promised PC version? Does it get your engine running? What do you think of these features now being considered “bonuses” of a kind? Go! Borderlands was a really interesting game when it came out, a hybrid of RPG, FPS and open-world game with a good bit of loot-craziness thrown in. Even with bajillions of guns, there were a few issues with the game, most notably the somewhat stale environments (would you like desert, garbage dump, or garbage dump in the desert?) and the most nonsensical ending in the history of video games. Secret robot assassins aside, Borderlands did well enough to warrant a sequel and the release date trailer dropped today, revealing the four main characters and adding a bit of the old dubstep. 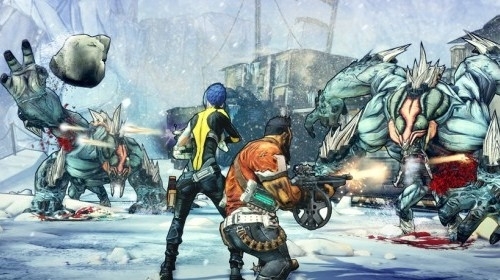 Borderlands 2 is looking really fun, and if you put WUB WUB over anything there’s a good chance I’ll buy it. The new characters look pretty neat, and the enemy variety looks like it has expanded beyond skags and bandits. Color me excited, which I believe in loot parlance is purple. What say you? Does this trailer catch your fancy? 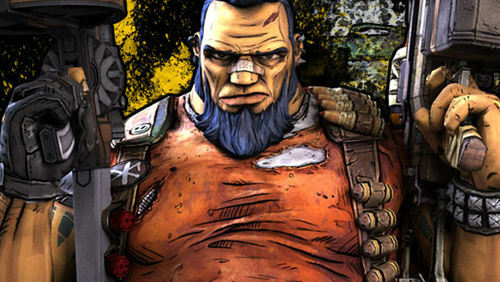 Borderlands 2 launches September 18 in the US and the 21 in the rest of the world. Look at that, two weeks in a row. My, we are on something of a streak. In fact, you might even say that we are streaking. Just throwing that out there. In this edition of the podcast, Jeff and Anthony acted like divas and stormed off the set, leaving myself, Nick and Mitch to discuss things all by our lonesome. We basically used this time to talk about all the things we can’t normally talk about with those two bozos around, which really means we spend a good chunk of time talking about StarCraft 2. It gets… fairly in depth at a couple of points, so hopefully you like that kind of thing. I know I do. We also took the three-man opportunity to play a game we’ve never been able to play before on the podcast – a real-time edition of GameCop Versus LameCop, with each of us swapping roles as we see fit. I think the results are particularly entertaining, and hopefully you do, too. You will either love it or turn the podcast off and throw it from your window. Posted on August 3, 2011 Author MitchCategories Co-Op, FPS, GamerSushi News, Gaming Theory, multiplayer, PC, Playstation 3, RPG, Shooter, XBox 360Tags borderlands 2, borderlands 2 features, borderlands 2 revealed, borderlands 2 website, randy pitchford shoddy journalism7 Comments on Borderlands 2 is Announced, What do You Want in the Sequel?